Did you guess our iconic 70’s horror title for this years BBC Radio 4 Fright Night season?? We can now reveal we have adapted David Seltzer’s ‘The Omen‘! 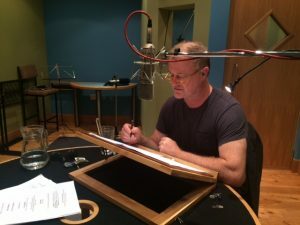 Read by Owen Teale, catch it next Monday 9th – Friday 13th (!) October for the Book at Bedtime reading at 22:45… spooky! !